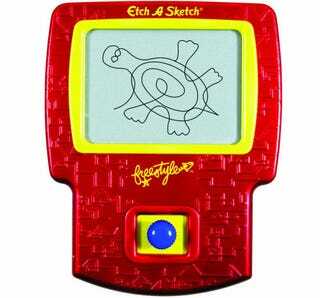 The Etch-A-Sketch Freestyle aims to eliminate those wobbly, pixel-edged circles that occur on the original. It's cheating. Call me a dinosaur all you want, I prefer the original over this $15 "modern" update, faults and all. This thing makes everything so easy and carefree. How boring.